Drinks in New Zealand worth giving a go. 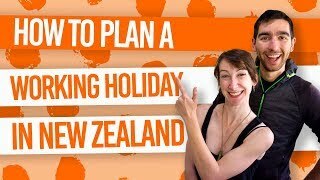 The backpacker lifestyle or the ‘holiday’ part of your working holiday in New Zealand may involve drinking a refreshing beverage or two. As a producer of wines, beers and even spirits, there are plenty of drinks in New Zealand you will be thankful to try! Although we all have our tastes, this list of drinks in New Zealand you have to try tries to pick something for everyone. So next time you are at the bar in New Zealand, you might be inspired to try something new. Remember, to have valid ID when buying alcohol in New Zealand. Find out more in What ID is Valid for Buying Alcohol in New Zealand? Here are our favourite New Zealand produced drinks and general drinks that New Zealand does well. You thought this was going to be all alcoholic beverages didn’t you? Lemon & Paeroa is New Zealand’s very own sweet soft drink now manufactured by Coca-Cola, of course. You can even visit the big bottle in Paeroa where L&P was born. Any wine from Marlborough, the sunniest and driest region in New Zealand, is bound to please the taste buds. Sauvignon Blanc is New Zealand’s most vastly produced and famous wine. Experience Sauvignon Blanc in Marlborough itself. 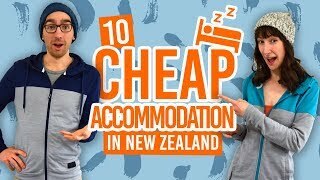 Check out Marlborough – Guide for Backpackers. Taste an apple in New Zealand and you know these apples lead to good things. One of those things is apple cider. Order a cider from any New Zealand bar and chances are you will have a good pint. From our experience, the paler the cider the better. There is a huge craft beer culture in New Zealand. With more than 160 breweries across the country, it would be a sin to not try some of that hoppy goodness while you are in New Zealand. What’s more you can even take part in a beer experience with brewery tours. Check out 5 Brewery Tours in New Zealand and 10 Craft Breweries in Nelson You Have to Try. New Zealanders are kind of obsessed about their coffee. If it isn’t barista-made with frothy milk, then it’s not worth talking about. Most cafes in New Zealand have high-quality barista-made coffee with highly-trained baristas. Plus, the latte art is always fun! A winter warmer in the form of cider, good mulled cider is made with spices such as cinnamon and nutmeg. It is particularly popular in Queenstown over the winter season. Featuring obscure trivia under the bottle cap about old New Zealand sports teams, Speight’s was established in Dunedin in 1876 and has been going strong in New Zealand ever since. Make sure to check out one of Speight’s Ale Houses for a complementing food and beer/cider combinations. Wild Buck is a simple no-nonsense New Zealand beer for the money-conscious alcoholic. The trivia under bottle cap caters to a wider audience than Speight’s, if that’s how you choose your beer. This New Zealand rum is steadily growing in international popularity, but why not taste it in the country in which it was fashioned. Try the bizarre coffee & cigarettes spiced rum with cola. Geoff is some bloke from New Zealand who made good vodka and everyone liked it. As well as enjoying the variety of flavours 42Below comes in, you can enjoy the funny ads. Mulled wine is another much needed winter warmer, which tends to be done exceedingly well in New Zealand. It’s pretty easy to find mulled wine mixers in the liquor stores to make your own. If you like lots of hops then this is the beer for you. Here’s just another craft beer brand that got famous in New Zealand! For more beer brands in New Zealand, check out 25 Awesome New Zealand Beers.